In this article, learn how to allow/prevent apps access to Microphone in Windows 10 using Settings app, registry manipulation or via Group Policy. Microphone is one the essential requirement for apps that works using your voice. For example, Cortana requires Microphone access so that she can respond to your commands. Other apps such as Skype, voice recording apps etc. majorly rely on Microphone for their operations. This article will show you how you can allow or deny apps access to Microphone in your Windows 10. You can configure these settings using Settings app, registry manipulation or using GPO method, as per your convenience. 1. Right click Start Button or press + X keys and select Settings. 2. In the Settings app, navigate to Privacy > Microphone. 3. Now in right pane of Microphone, under Allow apps to access your microphone, toggle the option On or Off to allow or block apps access to Microphone, respectively. 4. On the same page, under Choose which apps can access your microphone heading, you can individually select the apps that can use Microphone. Toggle the respective options app-wise to On or Off as per your requirement. These options states are saved automatically and changes are applied immediately. You can then close Settings app and return to Desktop, if you like. 3. Under microphone registry key, in the corresponding right pane, you’ll find Value named registry string (REG_SZ). Double click on it to modify its Value data. 4. Set the Value data to Allow to enable apps access to Microphone. Or you can set Value data to Deny to block apps access to Microphone. Click OK.
5. When you expand microphone registry key i.e. 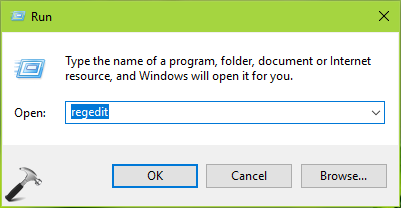 HKEY_CURRENT_USER\Software\Microsoft\Windows\CurrentVersion\CapabilityAccessManager\ConsentStore\microphone, then you’ll be able to registry sub-keys for individual apps. So you can configure Microphone access for specific apps using these registry sub-keys. 6. For each registry sub-key, in the corresponding right pane, set the Value named registry string (REG_SZ) to Allow or Deny to let the related app access or block Microphone. Close Registry Editor and reboot the machine to make changes effective. Group Policy Setting: If you want to enable/disable Microphone access for apps on multiple machines in your organization/workplace, you can deploy the relevant GPO setting. Set Let Windows apps access the microphone setting at Computer Configuration > Administrative Templates > Windows Components > App Privacy to Enabled/Disabled. Related: Microphone not working in Windows 10/8/7.